February, 2011: Tunisia and Egypt have tossed their leaders into the streets. Civil war has erupted in Libya. In Budapest, Sophie Kohl is living her worst nightmare. Minutes after she confesses to her husband, a mid-level diplomat at the American embassy in Hungary, that she had an affair while they were stationed in Cairo, he is shot in the head and killed. Stan Bertolli, a Cairo-based CIA agent, has fielded his share of midnight calls. But his heart skips a beat when he hears the voice of the only woman he ever truly loved, calling to ask why her husband has been assassinated. Omar Halawi has worked in Egyptian intelligence for years, and he knows how to play the game. Foreign agents pass him occasional information, he returns the favor, and everyone's happy. But the murder of a diplomat in Hungary has ripples all the way to Cairo, and Omar must follow the fall-out wherever it leads. American analyst Jibril Aziz knows more about Stumbler, a covert operation rejected by the CIA, than anyone. So when it appears someone else has obtained a copy of the blueprints, Jibril alone knows the danger it represents. 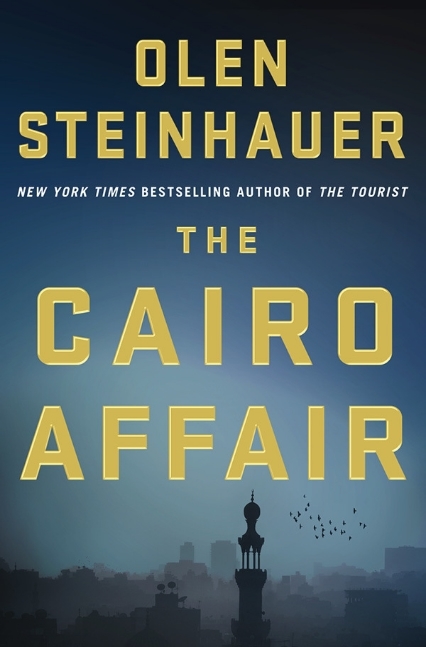 As these players converge in Cairo, The Cairo Affair slowly unveils a portrait of a marriage, a jigsaw puzzle of loyalty and betrayal, against a dangerous world of political games where allegiances are never clear and outcomes are never guaranteed.